Dr. Neil Kitchiner was recently presented with the Armed Forces Covenant Award at the Armed Forces in Wales Awards 2018 which recognise individuals or teams that have made outstanding contributions to the Armed Forces. 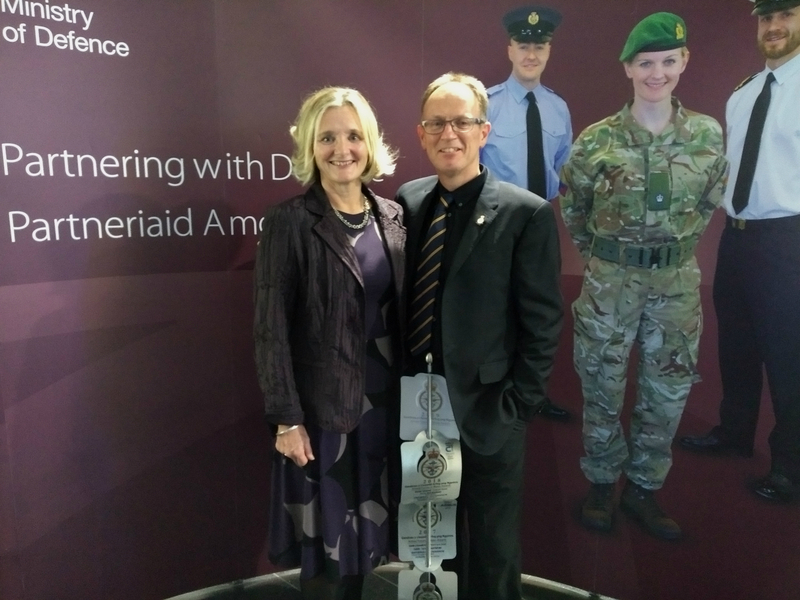 The Armed forces in Wales Awards and the Defence Employer Recognition Scheme Awards were hosted at a prestigious ceremony in St. Fagans National Museum of History. Dr. Kitchiner was nominated for the award for his work across Wales to help Veterans with mental health needs. Neil is the Director and Consultant Clinical Lead in the Veterans’ NHS Wales service, which offers outpatient mental health services for veterans with service-related health problems. With over 30 years’ experience gained from working in the UK and Australia, Neil’s career has also taken him into the private sector and he has gained numerous qualifications including Cognitive Behavioural Psychotherapist from the British Association for Behavioural and Cognitive Psychotherapies. Neil also served with the Army Reserves in 203 (Welsh) Field Hospital and was deployed to Afghanistan in late 2013 as part of the Field Mental Health Team and works tirelessly to support veterans and holds the Honorary Research title of “Veterans Mental Health Lead” at Cardiff University where he is involved in two ongoing trials for PTSD. He has published over 30 research papers and runs workshops on the psychological effects of trauma and psychological therapy. Cardiff and Vale University Health Board were also commended at the Defence Employer Recognition Scheme Awards for recently achieving a Gold Award for their support and commitment towards defence and the Armed Forces community. Dr Fiona Jenkins, Executive Director for Therapies and Health Science in Cardiff and Vale University Health Board and Executive Lead for Armed Forces and Veterans said: “I’d like to congratulate Neil on receiving this prestigious award for his commitment and dedication to the mental health needs of our Veterans, not only in Cardiff and the Vale of Glamorgan but throughout Wales.